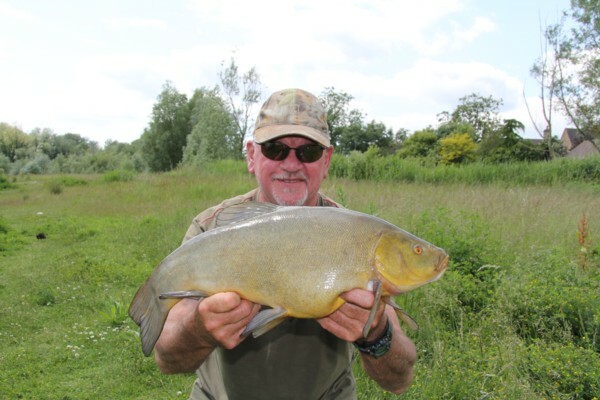 Back again on the Water Park and more big tench. Having arrived home at 1pm from my session on Little Farriers and those big brown monsters and the beautiful lake that it is. I was soon going to an afternoon party to friends to celebrate their younger son first class masters degree and the leaving of the older son who will be living in Australia with his girlfriend. Well this turned into a very late party. I was driving a few of Lizzy’s good lady friends too. I knew it was going down hill when the cocktails came out at 9pm. The party kept going and going and when Pete started to sing which is one of his professions I knew that it would get messy and late. At 1am we decided that it was time to go as some had difficulty standing……it was that good! Heavens above we are near to our bus passes. So after dropping all the girls off home and helping them get inside with hand bags and other paraphernalia it was 2.30am before I cast my head on the pillow. Not much peace as I needed to be up at 7.30am to take Father-in-Law to the eye hospital. So I’ve had 4 nights of very little sleep however who cares I was off fishing for tench on the Monday afternoon after picking up some bait. Arriving at the lake it was great to see it empty of anglers on the bank I wanted to fish. Having fished it for over 3 months I knew the layout of weed and clear patches. I was waiting for Graham to arrive and wasted no time in putting out a bed of dead and live maggots, hemp and casters. Soon enough Graham arrived. This guy has no end of talents in fishing. The previous week he had been fly fishing Rutland. 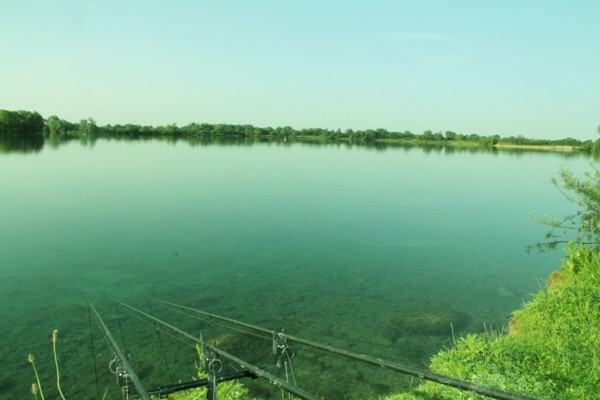 The previous week fishing Farriers lake for carp. I have fished on the river Wye for barbel with him. 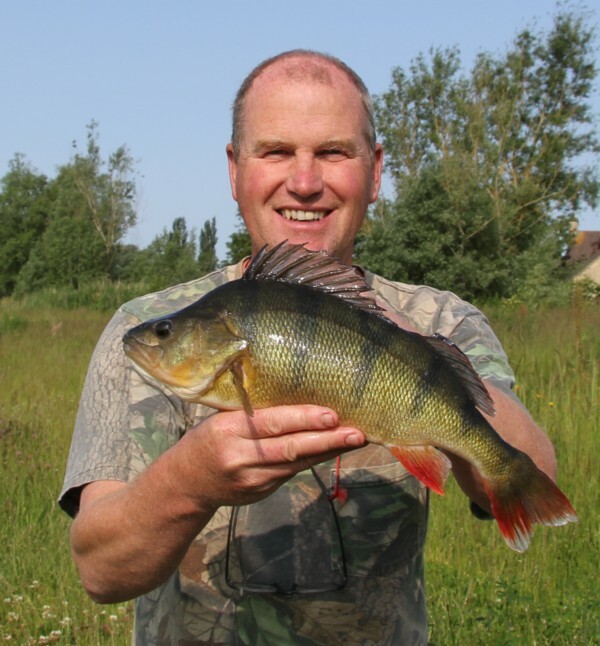 Not to mention he was once a match angler….right Graham that’s a fiver you owe me! So with everything sorted I cast out at about 5pm. The weather was warm and with the wind blowing into the bay it looked perfect. The rigs were the normal caster and method feeder. Then two rods on inline feeder. All the rods were on fake maggots and casters. 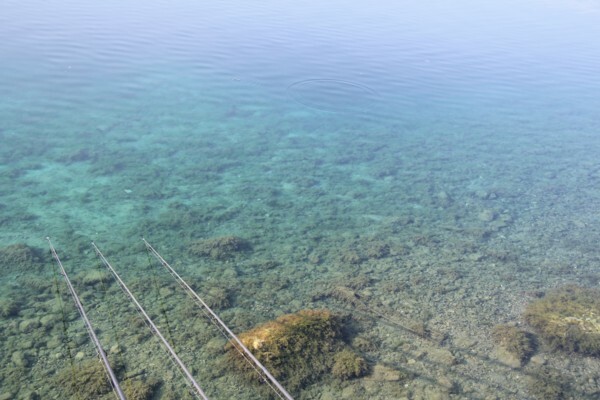 It was the caster and method feeder rod that signaled a bite. Soon I was playing a beautiful tench of 6lbs 15oz. What a start to the session. Graham helped me with the photo’s etc. I said to him that I needed to get the rod out again quickly just in case more tench were feeding. No sooner had I re casted and was just setting the bobbin it was pulled from my hand. This felt a better tench and it turned out true at 7lbs 8oz. What a start I kept saying. It all went very quite after this and even the night boilie on each rod didn’t produce a bite. I was up early again and fed the swim with the normal feed of dead and live maggots and hemp. 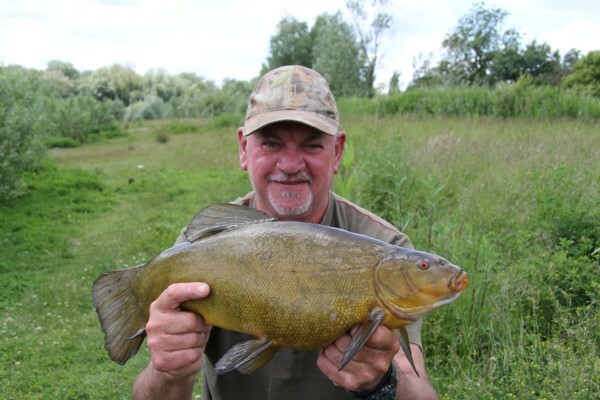 there was some tench rolling activity which augured well for the day. I was disappointed that nothing came along. I had a few very fast takes that were not tenchy. Finally I hooked one of the culprits and it was a stripey Sargent which didn’t put up much of a fight on the 2lb t/c rod. All was quite again until 11am when I lifted into a good tench only for it to fall off! 11.30am saw the bobbin hit the rod and fish on again. This was no tench but a big brown monster again. Oh no I must be turning to the dark side of fishing catching all these brown monsters. That was the end for me as Graham started to get much activity in his swim. At 1.30pm one of his rods roared off and he was soon playing a nice tench of 6lbs 6oz which was caught on the maggot feeder approach. 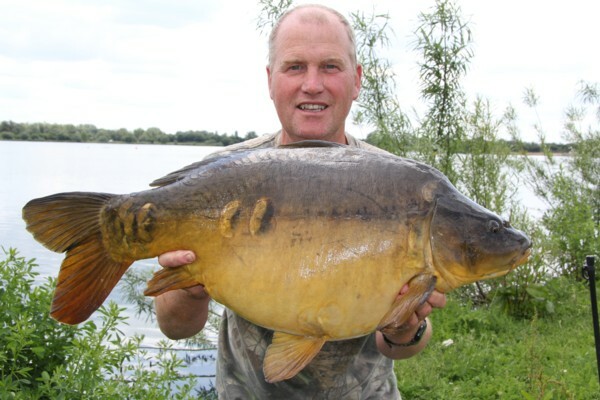 I was very pleased for him as he has been fishing the lake hard like me in difficult conditions and finally he did it. 2pm he was in again with a good tench. this time he tempted the fish on a pop-up boilie. He played the fish on his new tench fishing rods. Now both rods had been christened. 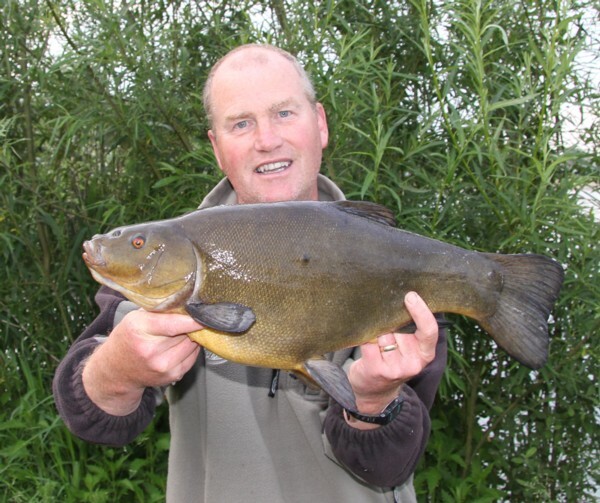 This time the tench registered on the scales in at 7lbs 5oz and a new pb for him. That was it for the remainder of the day. I was up early and put the normal feed out and with an hour had a great take on casters and landed a tench of 6lbs 14oz. 10 minutes later I had another take this time on the fake maggot rod. I lifted into the fish and played it to the net where unfortunately it dropped off. I couldn’t complain too much as I had a brilliant 6 days of fishing and to lose one was not devastating as I could see it was only a small one. Graham had the final say again to the pop-up boilie rod. A hard fighting male tench of 5lbs 14oz came to the net at 9.15am. I was so pleased for him as he had gone through some tough times on the lake. At least we had caught some good tench and not blanked. 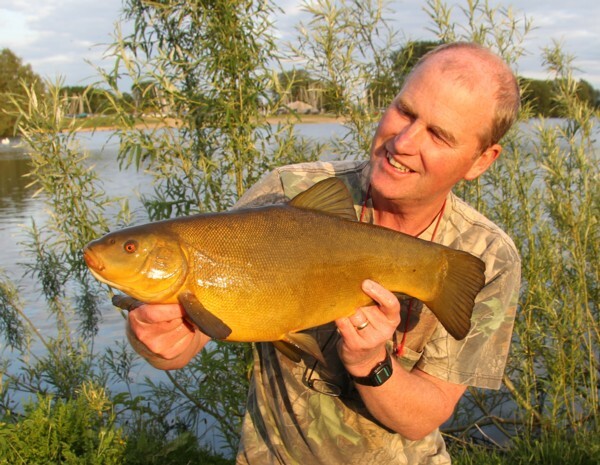 The tench have not spawned yet and the time might come for a good one soon. 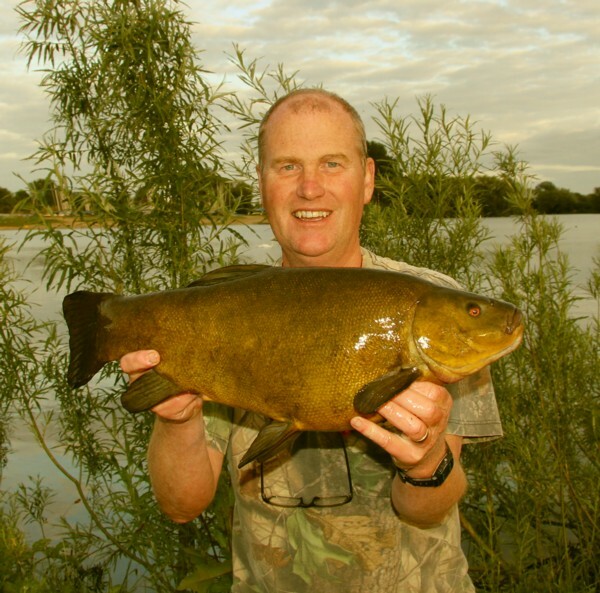 News has come through from Horseshoe to say that some very large tench to over 10lbs have started to come out. Here are some views from the lakeside. This entry was posted on Thursday, June 27th, 2013 at 8:17 pm	and is filed under Uncategorized. You can follow any responses to this entry through the RSS 2.0 feed. Both comments and pings are currently closed.